The LG G Flex's case is covered with a material that LG claims can prevent scratching. 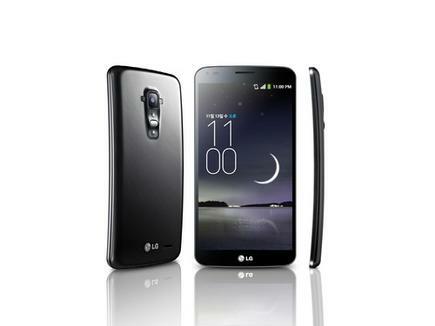 The new LG G Flex phone. LG is flexing its muscle in smartphone technology with a new handset that boasts a curved touchscreen, along with a special "self healing" technology that the company claims can prevent scratches on the phone's casing. The South Korean electronics vendor unveiled the new phone on Monday, calling it the LG G Flex. Digital renderings of the handset were leaked earlier this month. But in its Monday announcement the company offered further details on the phone, showing that it contains a few new technologies, along with its curved display. The G Flex is the second phone to feature a curved display, the first coming from Samsung Electronics with its Galaxy Round handset. The top and bottom of the G Flex's 6-inch screen are curved towards the user, while on the Samsung phone it is the sides that are curved towards the viewer. This makes LG's handset closer to the curve of a traditional fixed-line phone handset, a design choice LG said is optimised for the contours of a face. Users can more comfortably hold the phone to their mouth and ear, improving its voice and sound quality, according to LG. The company also touted the design by stating that the phone offers an easier grip, and holds better in a person's back pocket. In addition, LG said the curved screen gives an "IMAX-like" experience when viewing videos, allowing for a greater field of view. 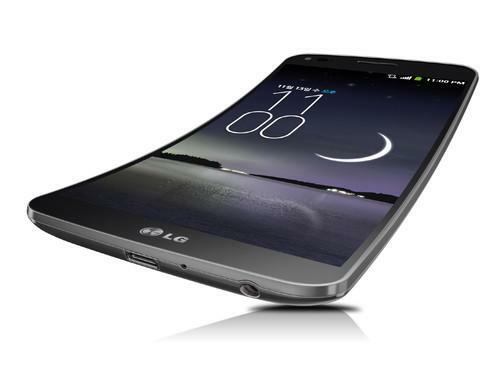 To create the curved display, LG built the OLED display panel on a flexible plastic substrate rather than glass. It also developed what it said is the world's first curved battery, with a capacity of 3,500 mAh. LG said the damage-resistant coating on the back cover can self-heal. The G Flex will be available in South Korea starting in November, but LG said additional markets will be announced later. No price was given. Both Samsung and LG are major suppliers of display technologies, and also rivals in the handset market. Curved displays are seen as an upcoming trend in smartphone technologies, but some analysts remain doubtful that the phones can offer benefits over competing flat screen devices. The fact that both Samsung and LG are initially releasing these curved-screen phones only in Korea shows that the devices are still in the concept stage, said TZ Wong, an analyst with research firm IDC. "They are not really mass market devices, and the use cases are still not clear," he said. "How many consumers do you know tell you about the ergonomics of a phone? I think it's often more about battery life and screen size." Protecting a phone from scratches, however, could be a real concern among consumers, he added. "If the self-healing technology really works as advertised, then I think this should be the phone's selling point, rather than the curved display," Wong said. The G Flex has a 6-inch screen with a resolution of 1280 by 720 pixels, a 2.26 GHz quad-core processor from Qualcomm, and 2GB of RAM. There is a rear-facing 13 megapixel camera and a front-facing 2.1 megapixel one. The phone weighs 177 grams, and has 32GB of on board storage. The phone runs Android 4.2.2 and can connect to LTE networks. As with its other recent handset, the G2, LG has moved the G Flex's power and volume buttons from the phone's sides to the rear, under the camera lens.